The Bees knees wish they were THESE. 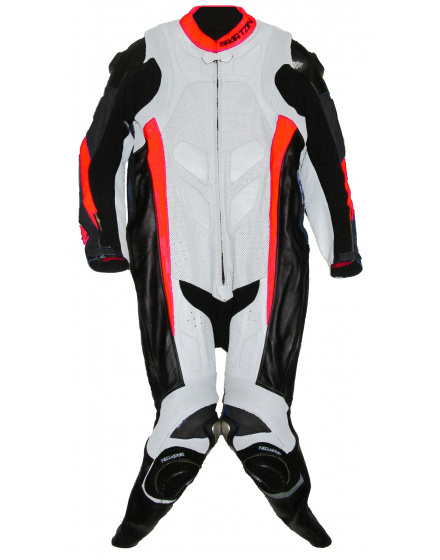 The SL-1 is a Professional level race suit. 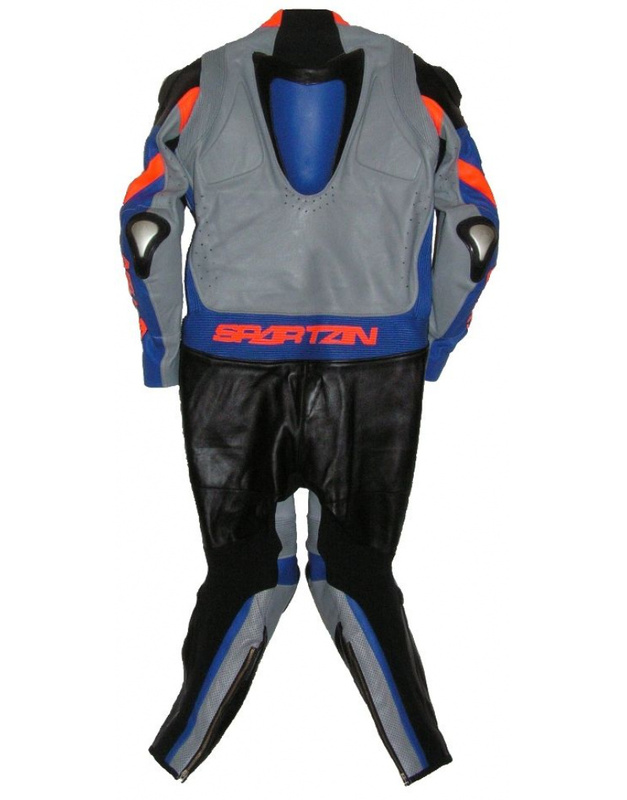 Buy the Spartan SL-1 professional level one-piece motorcycle racing leathers. 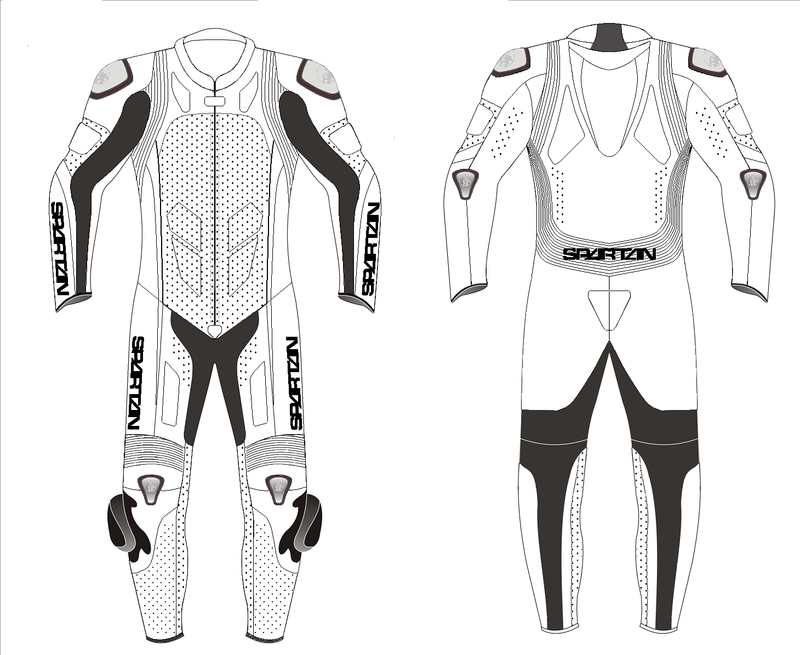 The Spartan SL-1 suit is the newest and most advanced set of motorcycle racing leathers we have ever produced. Titanium armor at Shoulders, Knees and Elbows. Double layered 1 piece shoulders. 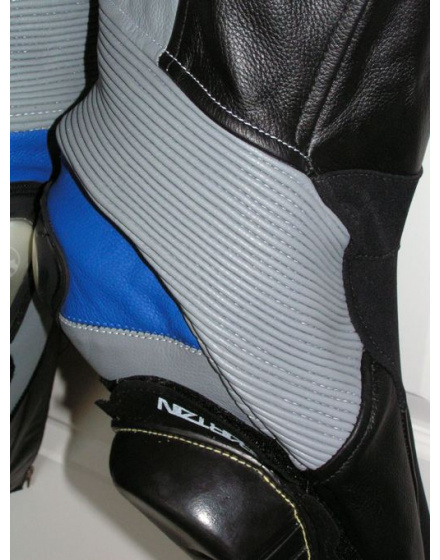 Also double layered leather in the other impact areas. Heavily precurved to fit the racing position. Extra areas of raised padding at the collar bone and the shoulder blade, over the tail bone, as well as on the inside of the thigh where your tank grip might be. It has a lot of stretch paneling going up the back and sides, but it is done with fewer seams than our other suits, and as you see, it the stretch goes up to and meets at the top of the shoulder. That design element allows the wearer to have free movement in all directions of the shoulders, with no binding. 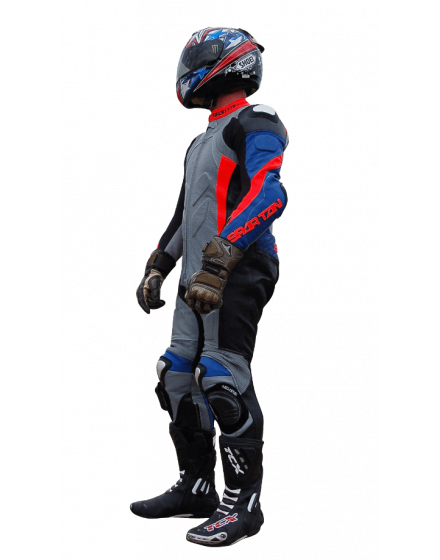 It has seamless kevlar stretch panels in the crotch area, so no seams there to cause discomfort, and more kevlar in the arms. Laser cut logos. These are available with or without the outline, according to your preference. The price on these motorcycle racing leathers includes custom tailoring, color choices, all sponsor logos desired, rider name logos, etc that a person wants, and of course shipping to the US. 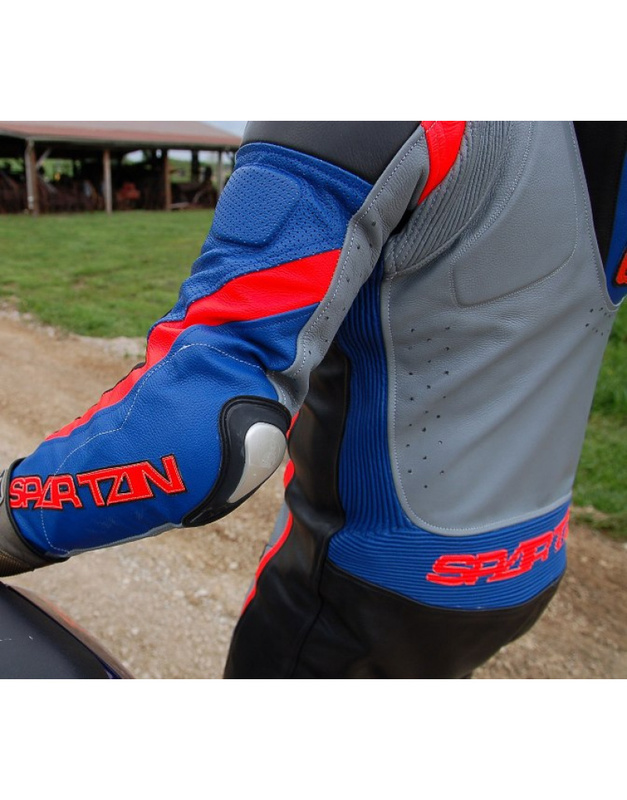 Spartan provides motorcycle gear made to the highest specifications that you can feel confident wearing for years, or even decades if you take care of it. Our small family owned business model keeps out the middle-men, and gets you the best value for your dollar. We are never satisfied, and are constantly re-evaluating how to improve our gear. Due to that constant process of improvement, your leathers may vary slightly from published pictures.